Dozens of Prince George's County residents came together Monday night to mourn the death of 19-year-old Akinleye Warner, who police say was stabbed to death in an apparent gang initiation. Warner's body was found on the Northwest Branch Trail near the 1500 block of Quebec Street earlier this month. 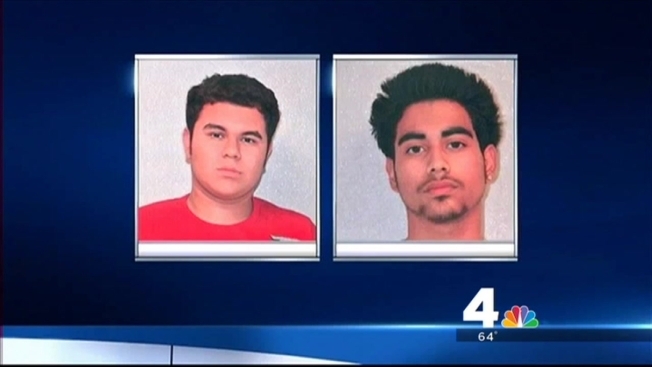 Police have arrested three middle school students -- the youngest being 13 -- in connection with the crime. Capt. Timothy Taylor with Prince George's County Police told News4 gang task force detectives have been dispatched to area schools. "A lot of parents are very oblivious to what we see as very obvious signs," Capt. Timothy Taylor told News4. "They should look for changes in behavior, the groups [their kids] are hanging out with, where they're hanging out, and if they're wearing specific colors." Warner's step-mother attended Monday night's vigil, at one point fainting from emotion. Members of the county's Latino and African-American communities were in attendance to light candles and bring attention Warner's untimely death. NAACP Prince George's County Chapter President Bob Ross acknowledged the history of friction between the two communities. "We gotta be friends, people come to this country for a better way of life... the same way we traveled from the south looking for a better way of life," Ross said. Through a translator, Langley Park resident Maria Guardado spoke of her fear for her own children. "Today was their son. Tomorrow could be ours. We should be in prayer for everyone," Guardado said. "Fear is something we can attack and we do that together," Prince George's County Police Chief Mark Magaw said.